Cornwall is the favourite destination for diving in the UK. With its wealth of sea life and more than its share of ship wrecks, Cornwall is the ideal place for a diving holiday or for learning to dive. Whether you're below the water or above it, you'll find Cornwall's scenery to be breathtaking and spectacular. With over 50 shipwrecks in the Mounts Bay area alone, Cornwall can offer divers the opportunity to discover another world and maybe to discover their own wreck. Ships have been wrecked along the Cornish coastline for many hundreds of years. As early as 1649 The Garland, which was carrying the young Charles II wardrobe was forced onto a reef near St Ives during a fierce storm. Coincidently, it was the day his father was being executed. It took three days to rescue the only remaining survivors - a dog, one man and a boy. The remaining 58 crew perished at the hands of the storm. Dolphins, seals and and a wonderful array of amazing sea life are yet another reason for visiting the sub marine environment around Cornwall. Pods of dolphins regularly visit divers, swimmers and surfers as these wonderfully inquisitive and intelligent creatures share their love of playing in the water with their human counterparts. 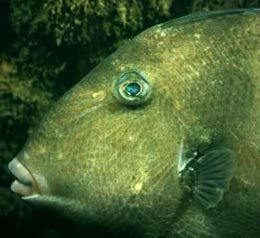 Leatherback and Green Turtles are often seen and the Ocean Sunfish is a regular visitor to Cornish waters. All five British species of Pipe fish can be found on the Cornish coast. Add to this the undersea world of the resident marine population of plants and animals with starfish, sponges and anemones, and you can imagine the experience that is waiting for you on your diving holiday in Cornwall. PADI 5* Dive Centre offering a range of facilities from learning to dive courses to packages for experienced divers. Undersea Adventures also stocks a full range of professional diving equipment in their online store www.watersportswarehouse.co.uk . 7 Hayle Industrial Park, Hayle, Cornwall. TR27 5JR United Kingdom. 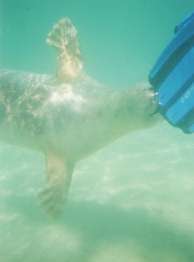 Sightings of marine animals particularly Dolphins, Seals, Turtles and rare fish are listed in the Seaquest Southwest recording project which is run jointly by the Devon and Cornwall Wildlife Trusts. The increasing warmth of the waters around Cornwall is encouraging what would normally be rare and infrequent sea life to visit and remain in Cornwall's waters. 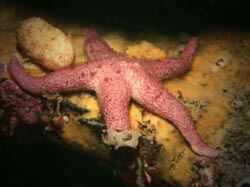 Species normally found in Mediterranean and tropical waters are becoming a common site around Cornwall.